My recent blog, “Caregiving: The Ultimate Team Sport” assumes the person providing care for a loved one has a wealth of family members upon which to draw for support. When that is not the case it can be difficult to find willing team members to provide that support. This article provides advice to the solo caregiver and to his/her friends, business associates, neighbors, and community contacts. Garage Sale fundraiser for the local Alzheimer’s Association. CAREGIVER: BE BOLD – ASK FOR WHAT YOU NEED. Those people with whom you have contact probably know that you’re the only one carrying the ball when it comes to caregiving but they can’t possibly understand the degree of difficulty you’re experiencing. Assuming that to be the case, your friends, business associates, and neighbors may not feel the need to reach out to you with assistance. Now is the time to be very transparent with them and tell them what you need. 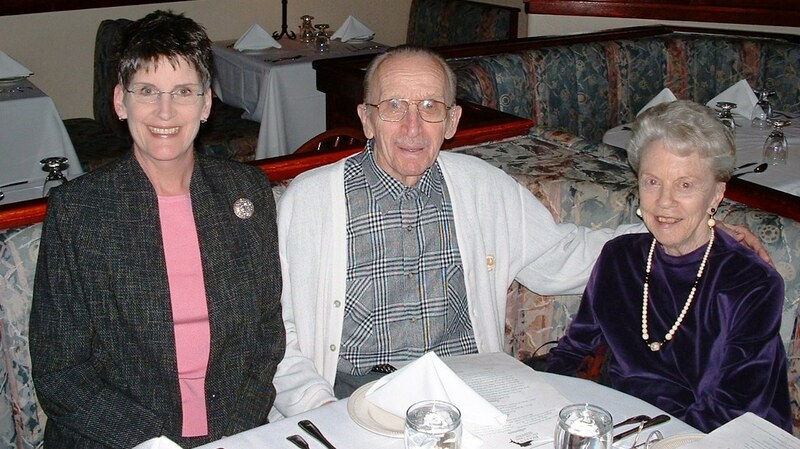 Having dinner with my dad and his late-in-life Bride. DINING ALONE IS A DRAG – NOW’S THE TIME TO ASK FOR WHAT YOU WANT. There is no shame in inviting yourself to dinner. If these are true friends/acquaintances of yours, they will welcome you into their home. Once you’ve invited yourself a couple times, true friends and valuable neighbors will start to invite you into their dining room on an ongoing basis. Besides, they’ve probably been wondering what they could possibly do to help you out in your situation and you’ve just presented a very easy way in which they can do so. Heck – they’re going to cook dinner for themselves anyway; one or two extra people aren’t going to throw a huge wrench into their meal plans. 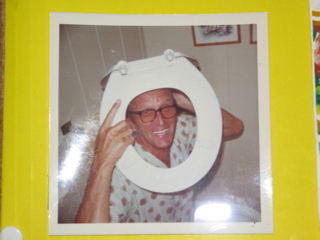 My wonderful Dad, circa 1960’s, being a jokester. ATTENTION WELL-MEANING FRIENDS & NEIGHBORS! I think the rule of thumb in these situations is to assume that your friend the solo caregiver needs a hand with something, so ask him what he needs. Let’s look at the difference between the following offers of assistance. Friends, work associates and neighbors – your solo caregiver friend needs help and you could be just the right person with the skill that he needs. Some day you may find yourself in a similar situation and will know first hand how difficult it is to be a solo caregiver. If it takes a village to raise a child, it must take at least that to help someone with the burden of being a solo caregiver. This entry was posted in 21st Century Living, Alzheimer's/Dementia, Caregiving, Family issues, Health & Wellness, Personal Struggles, Quality of Life, Retirement and tagged neighbors helping heighbors, solo caregiving, volunteering.